Francis Wilson Niven was a noted engraver, lithographer and printer based in Ballarat between the 1860s and 1880s. The Gold Museum holds an extensive collection of Niven’s work which highlight the development of Ballarat’s advertising and tourism industries during the gold boom. Niven was born in Dublin, Ireland on 15 July, 1831. The search for gold led Niven to Australia in 1852 and he spent several years on the Ballarat goldfields. With his limited earnings, Niven purchased a lithographic press for £40 from Alfred Ronalds, one of Victoria’s first lithographic printers. Niven’s first project involved the production of commercial billheads. 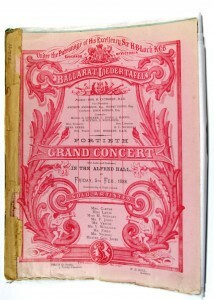 Later in 1855, he produced the first issue of the Ballarat Punch. 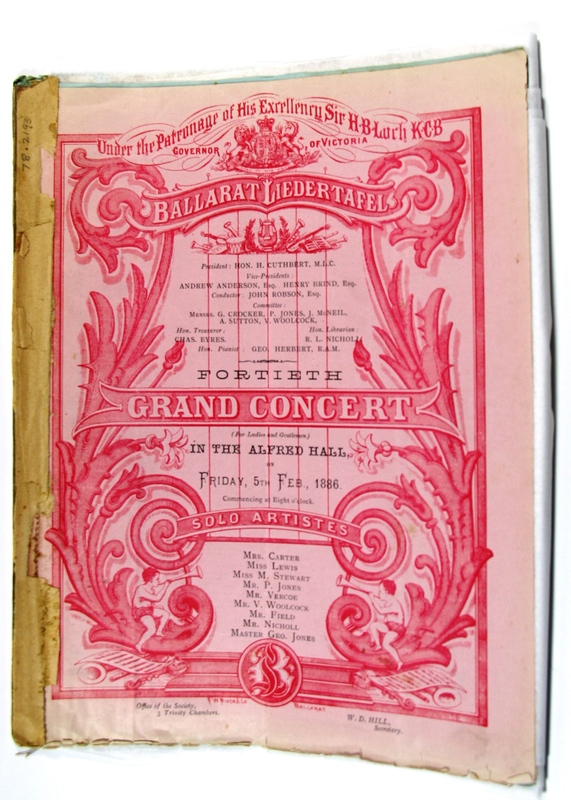 In 1862, Niven began an apprenticeship with noted Ballarat lithographer Herman Deutsch. The following year, Niven purchased Deutsch’s business and renamed it F.W Niven & Co. 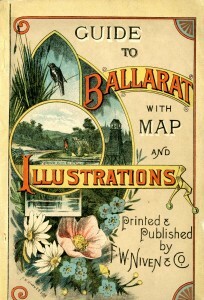 The company began publishing images of Ballarat’s gold mines. Niven imported the first steam lithograph press to Australia in 1873. This led to the development of innovative printing techniques, most notably the crisp photo process. This technique resulted in coloured lithography and photographs. The new printing method attracted great interest from the press and public. Niven drew a large crowd in March 1892 when he conducted a public demonstration of the new photo process. 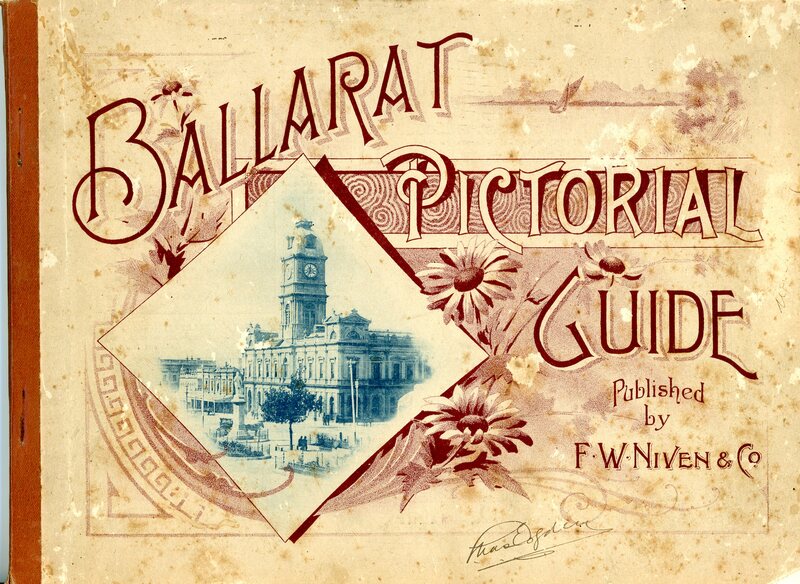 Advanced copies of Niven’s tourist guide Golden Ballarat were distributed to attendees. The Gold Museum holds a copy of the guide which was part of the Cities and Towns collection. 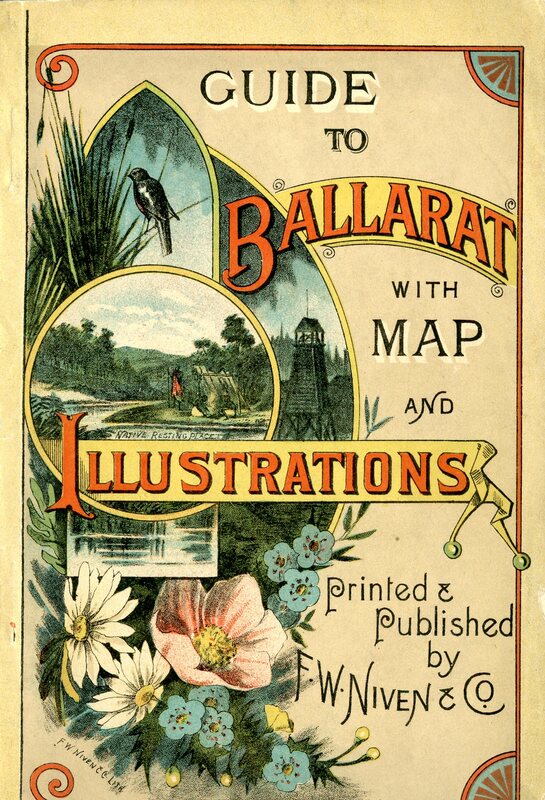 These publications promoted Ballarat and its key attractions including Botanical Gardens, Lal Lal Falls, local mines and prominent Ballarat buildings. 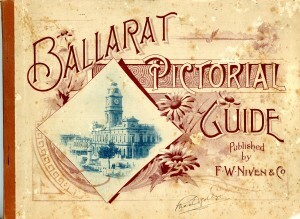 Other key promotional publications produced by Niven include the Ballarat District Dictionary and Guide to Ballarat. Niven relocated to Melbourne in 1893, setting up a business on Flinders Street. He held many voluntary roles including a position on the Ballarat Art Gallery committee, President of the Chamber of Commerce and the Amateur Photographic Society. Niven passed away 3 December, 1905 and was buried in Ballarat. Leave a reply on "F.W Niven"